I sure miss my washer and dryer. It is at home taking a rest for awhile while we await the sell of our house. I decided to spend some time with my husband in Louisiana, while friends and neighbors (and realtor) look after the house. Doing laundry has been one of the worst hassles. We were doing it at the laundry mat, but since my son and his wife have access to a washer and dryer at their apartment, I come over during the day while everyone is at work and use them. I miss being able to do a load here and a load there. Nowadays, I wait and wind up doing six or more loads at a time. It takes ALL. DAY. LONG!!!!! I can't wait to try some of these recipes! Down South by Donald Link is full of yummy Southern recipes and lots of fun stories from growing up and living in the South. As a Southern girl myself, I can relate to a lot of the food and experiences he shares. I love a cookbook with pictures, and Down South has a lot of nice photos of the food and places he talks about. Most of the recipes and stories come from the Gulf States, but Kentucky, Tennessee, the Carolinas, etc. are also represented. Down South: Bourbon, Pork, Gulf Shrimp and Second Helpings of Everything by Donald Link and Paula Disbrowe, is a great cookbook for anyone who loves Southern food, or who wants to learn more about it. So, yesterday marked the end of an era, yes I caved in. I got a smartphone, yep, one of the last to do so. My daughter actually will be getting her new smartphone in a few days. She has also been fighting the smartphone craze. Do you know how hard it is to buy what I call a "dumb phone?" Almost impossible. All my boys have a smartphone, and my husband has one for his job. Everyone has been telling me I need to get one, that I would "Love it!" Well, I am sure they are right, the point is, I don't want to be dependent on one...I have done just fine going many years without one. I have found people automatically assume you have a smartphone, and send mass text messages or pictures asking my opinion on things. Heck, even teaching Seminary, they expect you to have all this technology at the tip of your hands...no more printed books, everything right on your smartphone or pad. What do you think would happened if there was no electricity for weeks? People would go CRAZY. I'm not saying I don't like it....far from that. It's just I feel that our society has gotten way too dependent on it. No one can function, heck, people can't even carry on a conversation anymore. I do like my new smartphone, but I do plan to not get too dependent on it. 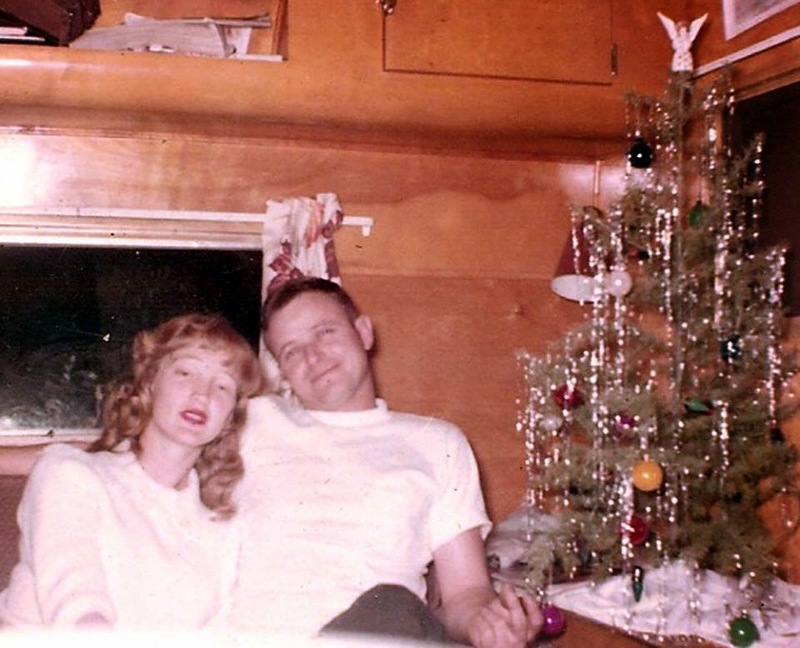 Fifty-eight years ago today, my parents were married. Here they are, probably their first Christmas. Boy they were young! I was the first of three girls, and I am so happy that I was blessed to be a part of this family. For the most part, we were all very happy and had the things we needed. 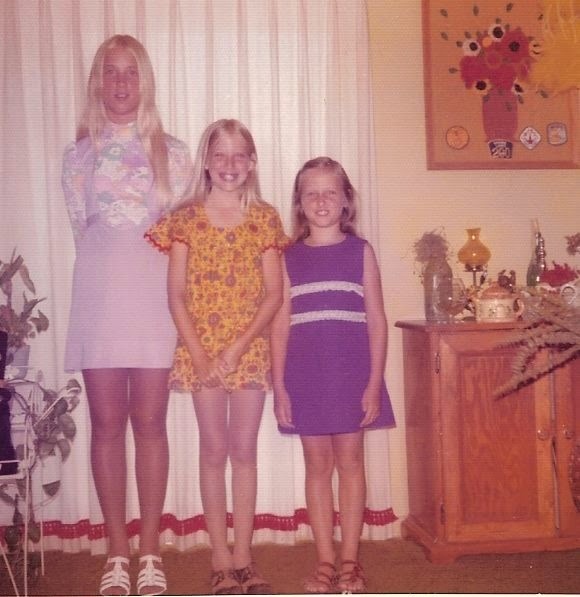 My parents did a great job with raising us girls. Boy, I'm glad most 1970's styles are gone...how funny is this!? Anyway, happy anniversary, Mom and Dad!!! I was so excited to get this book because I am going to be a GRANDMA!!! Yes, my daughter is going to have our first grandchild in December. As a yoga and dance instructor and vegan, our daughter is very health conscious. Since she is vegan, she has had some questions on whether or not she needs to continue this through her pregnancy. I think this book, along with her doctor's advice will be just what she needs to make some good healthy decisions. The Natural Pregnancy Book, (third edition), Your Complete Guide to a Safe, Organic Pregnancy and Childbirth with Herbs, Nutrition, and Other Holistic Choices by Aviva Jill Romm is full of good advice from nutrition to choosing what type of health care is best for you. Jill starts out with The Basics, then helps you to learn how to be more aware of your body. She also discusses prenatal care, what to eat, and common concerns. This book is full of information that any pregnant woman would need. As a first time grandma, I find it interesting, and hope I can support my daughter in her pregnancy decisions. After I get done with it, this book is headed to my daughter's house. The Natural Pregnancy Book went on sale August 5, 2014 and retails for $17.99. I received this book from Blogging for Books for this review."